When you have aging parents living at home or alone in their own place, keeping an eye on them at all times may prove difficult if you have a 9 to 5 job or when you need to attend to business for much of the day. The wellbeing of the elderly is at stake when they are left alone to fend for themselves, especially when they are showing signs of memory loss or a weakened body. Waiting for incidents to happen before you take action isn’t the best approach to ensuring their safety and wellbeing. Because not all people are comfortable with or are capable of hiring homecare or assistance for their aging loved one, many adult children resort to other smart ways to watch over their elderly like using a GPS tracker for seniors. A senior GPS tracker can be a beneficial tool for keeping an eye on your aging loved one’s whereabouts. Exactly what can a GPS tracker for seniors do? GPS is short for global positioning system, a widely used technology for transmitting exact information about geolocation and time to a particular GPS receiver anywhere on earth or near the earth. GPS devices can operate on their own and do not require telephone or internet reception to send information. A senior GPS tracker will therefore inform you of the user’s location as the information is monitored and retrieved through a receiver. Why do you need a GPS tracker for seniors? Quite simply because elderly people – particularly those who are experiencing certain degrees of memory loss—are prone to wandering and losing their way. In some cases, even their regular routine—such as getting some exercise or walking around the neighborhood—can become confusing. They may wander off their usual path and stroll to new and unfamiliar places, causing them to get lost. Too many cases of elderly persons who go missing are caused by them straying from their normal routes. 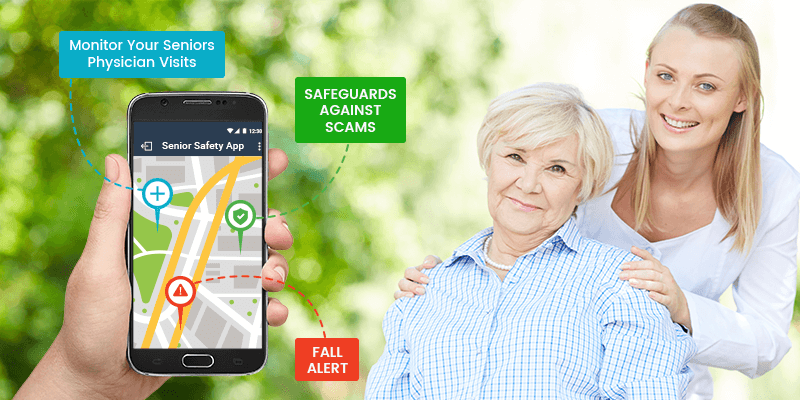 An advanced senior GPS tracker can be programmed with geofencing capabilities so that you can be alerted in case your elderly loved one strolls beyond set parameters and geographical areas that they typically frequent. These can include their street or neighborhood, the park, mall, clinic or hospital, or any other location they would typically go to or spend their time in.